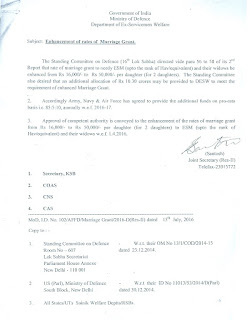 Subject: Enhancement of rates of Marriage Grant. 2. 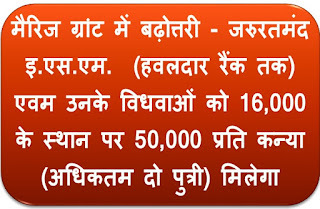 Accordingly Army. 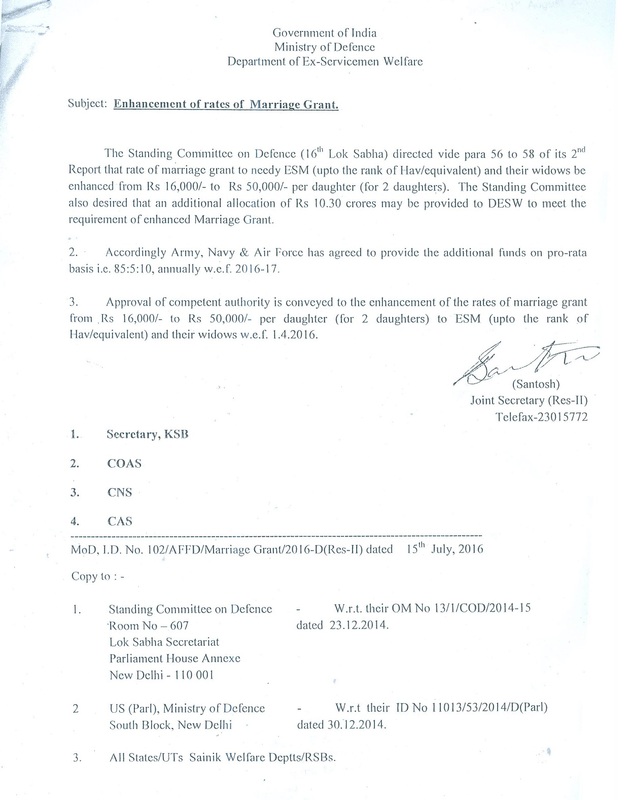 Navy & Air Force has agreed to provide the additional funds on pro-rata basis i.e. 85:5:10, annually w.e.f. 2016-1 7. 3. Approval of competent authority is conveyed to the enhancement of the rates of marriage grant from Rs 16,000/- to Rs 50,000/- per daughter (for 2 daughters) to ESM (upto the rank of Hav/equivalent) and their widows w.e.f. 1.4.2016.